If you’ve got a canopy Up & Over garage door on your garage and you’ve always wanted to electrically automate it, then now is the time. 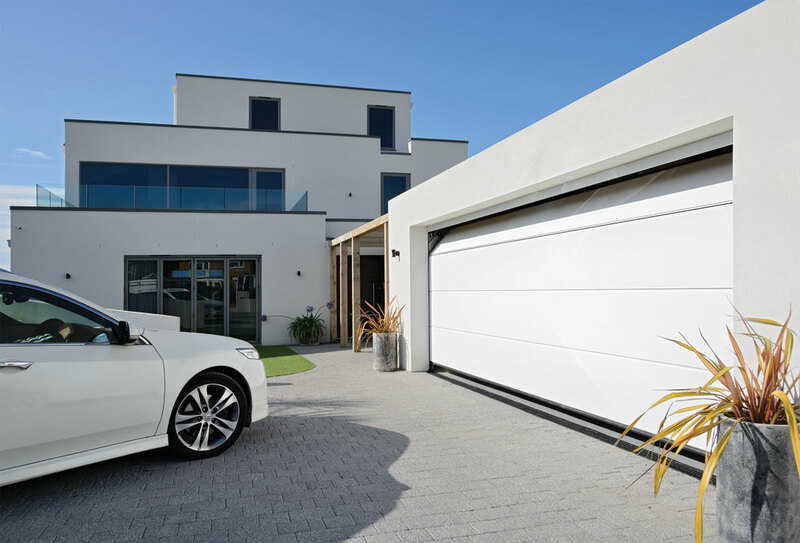 Garador have just introduced a new operator specifically designed to work with its canopy garage door range, called the GaraMatic Canopy Operator. The great thing about this new operator is that it makes it so easy to automate a canopy garage door, which historically hasn’t always been an easy thing to do. In the past, a large metal arm known as a ‘bow arm’ was used, but it had a bulky and sometimes impractical design. 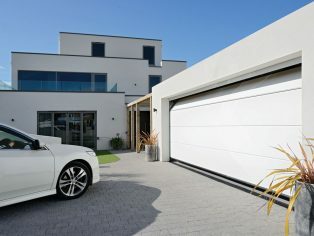 It fitted to the back of the garage door panel and reduced the opening height by about 140mm, so the homeowner didn’t get the full height in their garage when the door was open and couldn’t easily park bigger cars inside, as drive-through height was lowered. With the new GaraMatic Canopy Operator, an activating arm is supplied instead of a bow arm. This activating arm sits behind the top edge of the door for a more streamlined design that means there is no loss of drive through height and the full height of the door can be had inside the garage when the door is open. The new operator is also easy to retrofit to existing Garador canopy up and over doors; Garador have even produced a new video to show how easy it is to install.